Find out the stories behind the lyrics of electronic music in a brand new episode of Behind The Lyric presented by Marcie! 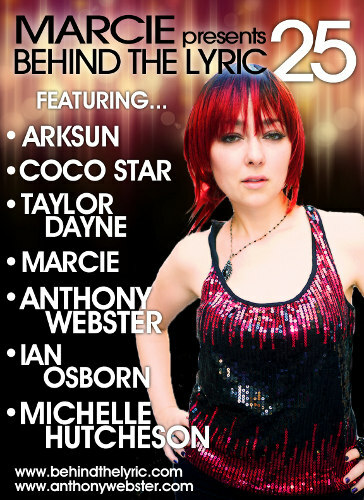 Episode 025 will feature exclusive interviews with Arksun, Coco Star, Taylor Dayne, Marcie, Anthony Webster, Ian Osborn, and Michelle Hutcheson. Catch Behind The Lyric 025 this Thursday August 25 at 7:00 PM Eastern / 01:00 CET (Fri) / 12:00 AM UK (Fri).